Joining us for dinner is like coming home. Gardener and chef, Eric Taylor, works his magic letting the season dictate the menu and creating delicious blackboard style menu. 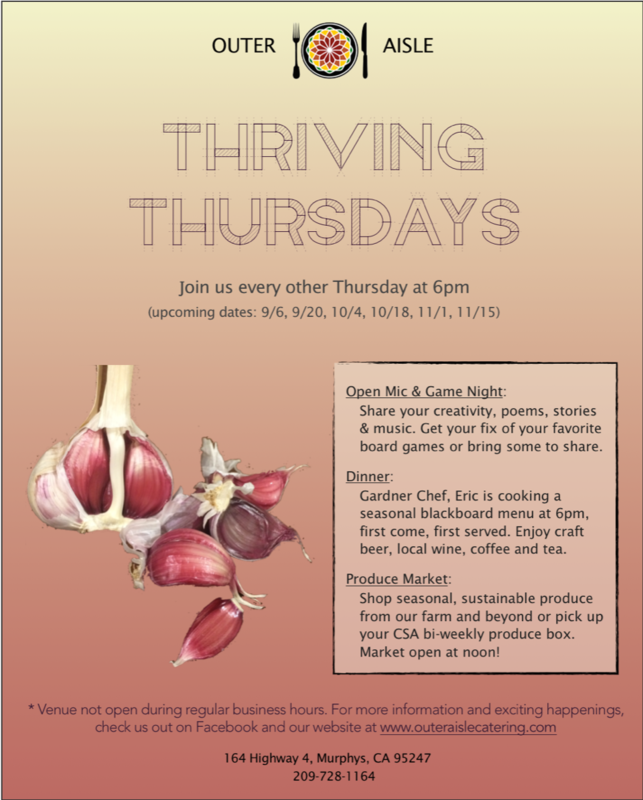 Every other Thursday we celebrate diversity, nutrition, and artistry – you can enjoy a meal and shop the produce market for seasonal ingredients.